Happy Monday! I am back on my usually blog posting schedule, and I am hopefully going to continue posting every Monday, Wednesday, and Friday! 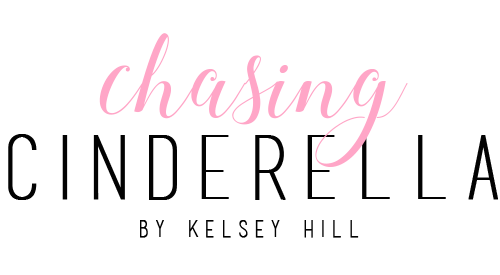 In case you were wondering where I have been over the past couple of months (I took a little blogging and social media hiatus), I am here to fill you in on a little bit of what has been going on in my life lately. The month of October was a crazy one for me. As most of you already know, I started a full time job in August, and October was definitely a busy one for us. I work in events (more on that later) and football season is super crazy for us! Thankfully we are on to basketball season, which will hopefully be a little less stressful for me! The other exciting news is that Cab and I moved to a different house in Charleston. It's bigger, nicer, and we have a nice big yard for the pups! As most of you know, moving is no easy task! Between packing, cleaning, moving, and unpacking, needless to say blogging wasn't at the top of my priority list. Now if I could only finish unpacking/organizing the house then I can get back to my normal day-to-day routine! I also wanted to touch on my outfit, since that is probably what most of you are here to read about! 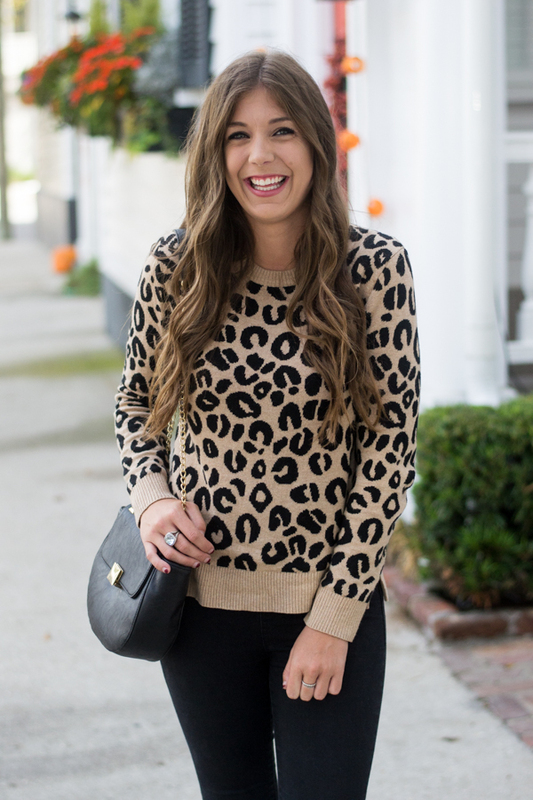 My sweater is under $20 and my booties are on sale for under $78 and come in three colors. I also have the taupe color and am completely obsessed. They are super comfortable and can be worn with everything! 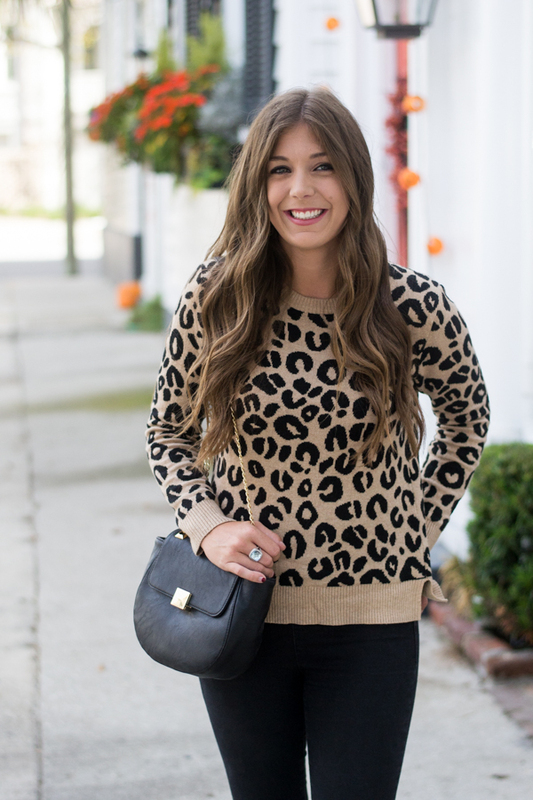 Perfect addition for fall! 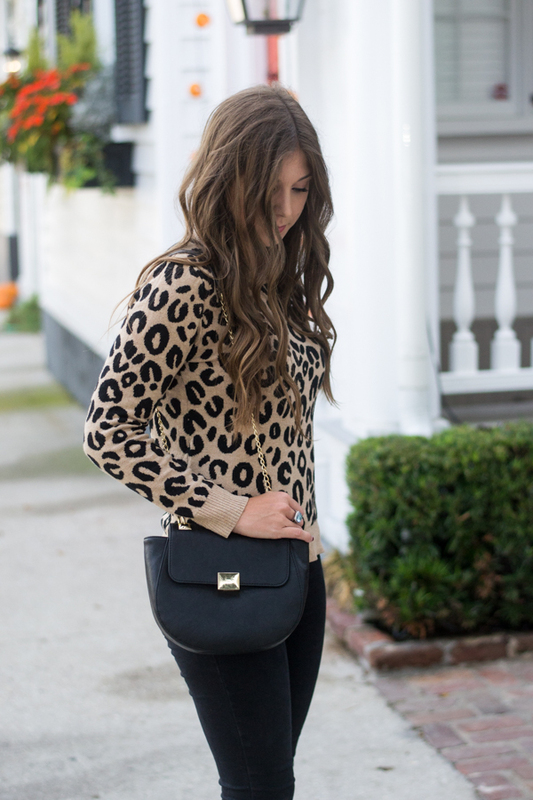 Such a cute look, love this sweater and black skinny jeans! We all need those breaks from time to time. Glad you're back. Love the sweater! Aww! Congrats on the big move! No wonder you took a little break. Sounds like you've been really busy! 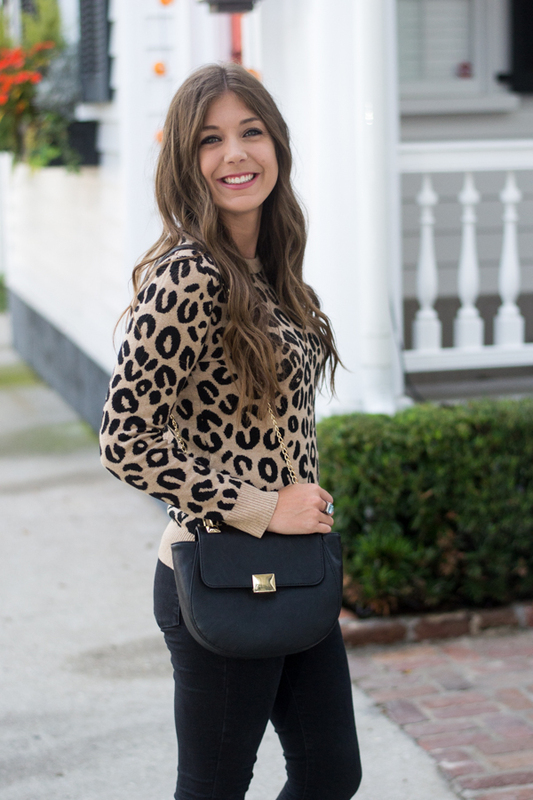 Loving the leopard for fall and congrats on the new home! Love your outift and sometimes life does get in the way. Moving is crazy and I plan to do it again in a couple years, ugh. What a great website name. Very creative. Also love the outfit. Stunning. Moving can be so overwhelming! I've learned that it's okay to let life get in the way sometimes...the breaks are much needed! 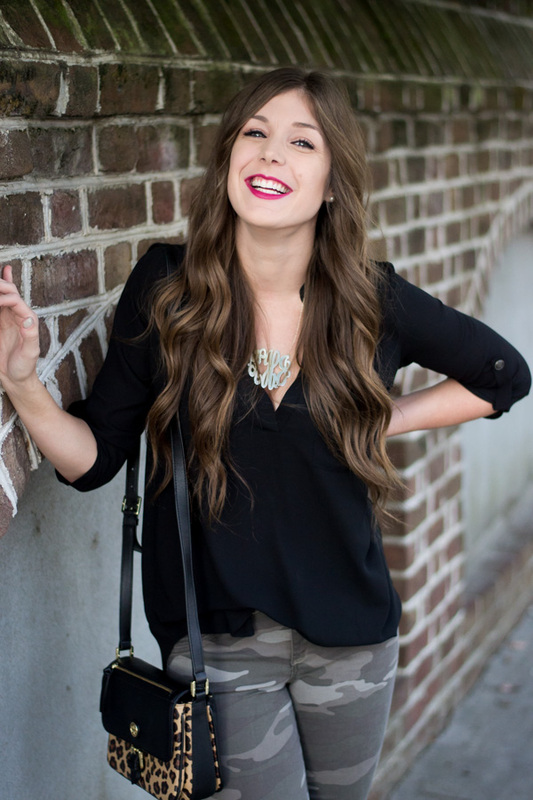 PS - I just came home from my first visit to Charleston and absolutely LOVED it! It's totally understandable to take a break for moving/starting a new job. It can all be a lot to handle until you get in a good routine. Adorable sweater by the way! Congrats on the new job, I totally feel how stressful that can be! Welcome back girl! Definitely understand your hiatus! You've been a busy lady! Congrats on the new job and the move. So exciting! 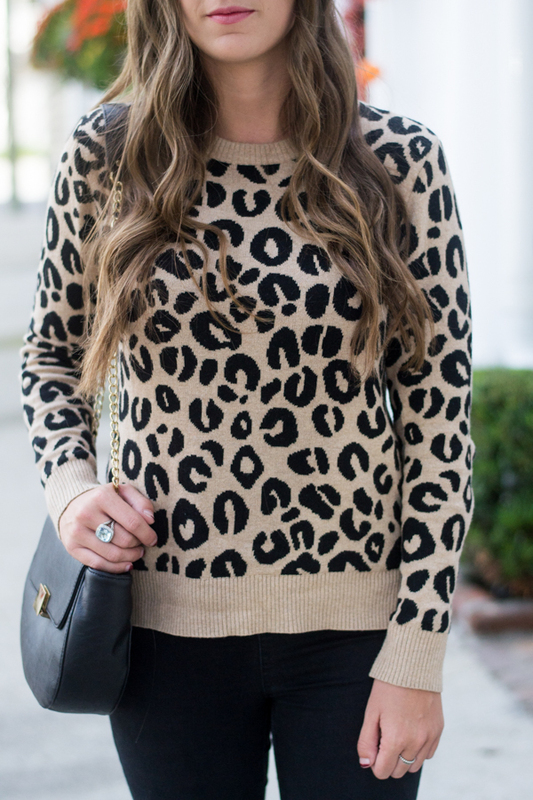 Cutest leopard sweater! Taking a break is definitely necessary sometimes! Congrats on the move!! congrats on the move! a break is much needed every now & again! Welcome back!! Sometimes its so nice to take a break! Love this look! I was wondering why you've been so quiet! We're thinking of coming down to Charleston to see Brison in the next couple weeks. I'll have to text you so we can meet up! Glad you're back, Kels! Good to have you back! We missed you! A big move is a huge life transition! Congrats on that and glad to have you back beautiful!